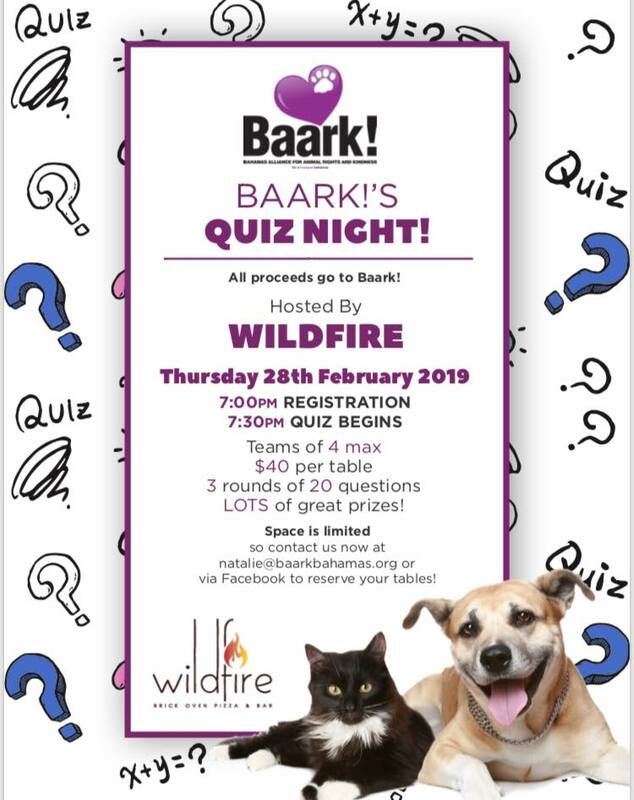 Baark Quiz Night | Baark! All proceeds go to Baark! Teams of 4 max $40 per table 3 rounds of 20 questions LOTS of great prizes! Space is limited so contact us now at natalie@baarkbahamas.org or via Facebook to reserve your tables!